Arducopter Quad RTF in stock! Arducopter Quad Ready to Fly now IN STOCK at uDrones! Assembled, code loaded and tested. Limited Quantities so act now. We process and ship your order in 24 hrs. Moderator Good way to make a quad blade guard? So I was reading the article on the MIT guys using the kinect to map out a physical space and what struck me was not the amazing mapping technology, but their really great guard they've got on their quad props. Moderator Can you name this platform? This is the sUAS flying over the nuclear plant in Japan, does anyone have info on it, I am struggling. Developer ArduPilot/Copter Mega 6 position 'mode' switch for FlySky/Tunigy 9x/ and others. Ok, I've spent the last few weeks putting together my ArduPilot and plane. It's running ArduPilot 2.7.1 in "Stabilize" mode. The first flight was not very stable, possibly due to the fair amount of wind, but also because the ArduPilot is not tuned. I've read the manual and have some observations/questions for anyone who can answer. The Robust Robotics Group at MIT has developed a system that allows a quadrotor outfitted with a kinect sensor to fly autonomously in GPS-Denied environments, building a map of the environment. Unlike previous work, our system does NOT rely on external motion capture to localize and control the vehicle. All sensing and computation required for local position control is done onboard the vehicle. 3D Robotics Droidworx moves to New Zealand. Can the name last? Here is video of first flights with the new lighter Hashcopter. PIDs make it a bit agressive and unstable because of reduced weight. Also you can see the massive camera flying with the copter. Decided to fly with the photodiode azimuth sensing & it was a disaster, as expected. It reminds us of the years spent on Heroine 2200's photodiodes, trying to figure out a way to intelligently detect the start of a period. Detecting the period was hard. Fast fourier transform needed much more cycles than our flight time. 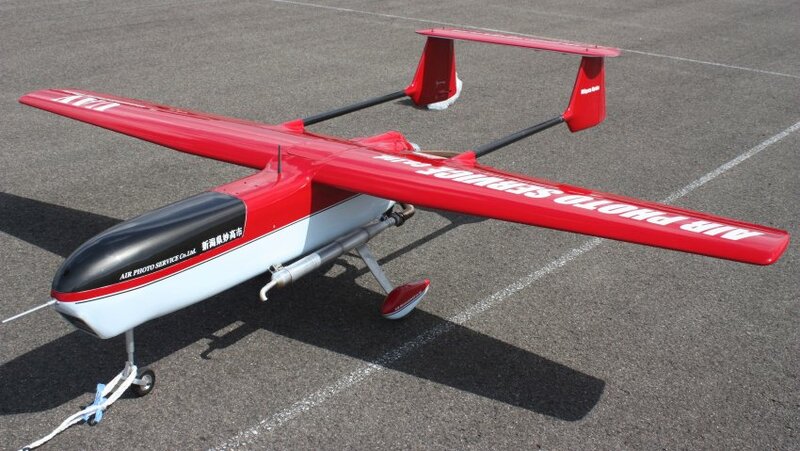 UAS are over 150 years old! It is only a design exercise with a wingspan of 1640mm, and a lot of space for electronics and batteries and very easy access to electronics. Last image shows 6 x 5000mAh/3S. I just came across this Wired.com article and it made me wonder if there are any projects out there in the DIY community that have a radio/audio broadcast or recording theme?